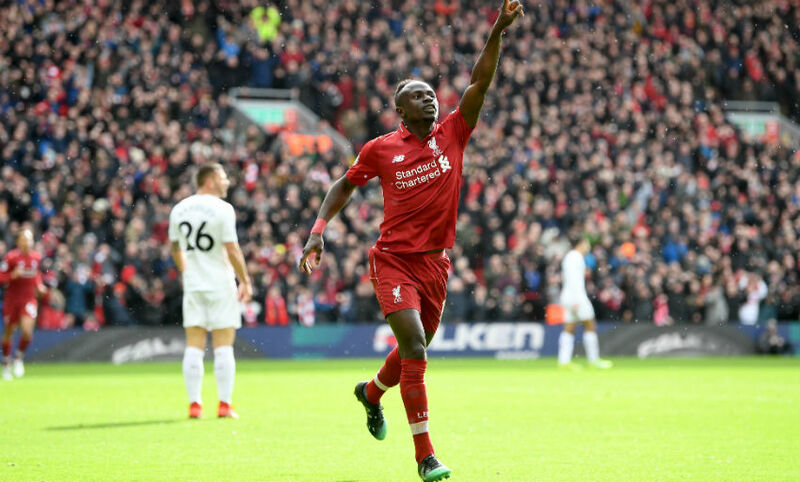 Roberto Firmino and Sadio Mane scored doubles as Liverpool battled to a 4-2 victory over Burnley to maintain their pursuit at the top of the Premier League. Jürgen Klopp’s team showed determination to recover from an early deficit and gain a lead in the first half that they then consolidated after the interval. Manchester City’s victory over Watford on Saturday evening – which opened up a four-point lead at the Premier League summit – meant Liverpool knew a response was necessary against Sean Dyche’s Burnley. Yet, with just six minutes on the clock, responding in the game rather than the title race was the sole focus as Ashley Westwood’s corner from the left sailed straight into the opposite side of the goal. Alisson Becker was aggrieved by the manner in which he was blocked in his area but the referee’s decision was made and the complexion of the hosts’ task suddenly changed. They rose to the challenge, however, hauling themselves back in front before the game was 30 minutes old and ensuring three crucial points with the third and fourth goals in the second half. Having secured a start in this game by virtue of a level of performance in training this week that Klopp described as ‘exceptional’ pre-match, Adam Lallana was an integral contributor here. In addition to his surety of touch and prodigious work ethic, the midfielder played a key role in the two goals that turned around the scoreline in the first half. It was his angled pass to the right wing that served up a chance for Mohamed Salah to attack the full-back, with help from Georginio Wijnaldum, and square for Firmino to haul Liverpool level on 19 minutes. 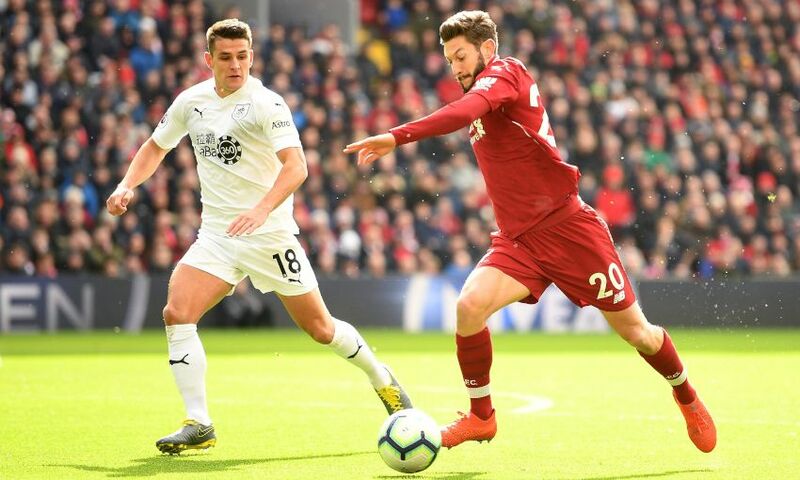 His role in the second goal was even more impressive – Lallana charged down Phil Bardsley with a sliding block that skewed the ball back into the box and ultimately the path of Mane, who swept a curler around Burnley goalkeeper Tom Heaton. A standing ovation greeted him when he left the pitch in the 76th minute. Firmino’s first goal of the game – and 10th of the Premier League season – was one of the more straightforward of his Reds career, the efforts of his teammates leaving the 27-year-old with little to do on the goalline. But the tap-in, which he later followed up with a similarly comfortable strike at the Kop end, maintained a proud record for the Brazilian in his fourth season with the club. Firmino has reached double figures in each of his Premier League campaigns so far – a feat that stands as the best of its kind for Liverpool in the competition. He has now been directly involved in 100 goals under Klopp (63 goals, 37 assists), more than any other player in the same period. All three of Klopp’s regular forward trio, meanwhile, have scored 11 or more times in the division this term, combining for a total of 44 with eight matches still to play. Mane’s excellent curled finish a minute shy of the half-hour mark put Liverpool in front and also established the No.10 in an elite club of Reds goalscorers. He is only the fifth man to have found the net in six consecutive Premier League matches at Anfield, emulating Michael Owen, Salah, Luis Suarez and Fernando Torres. Torres lays claim to the longest streak of the group, having netted in eight in a row, though Mane can of course continue to aim to match the Spaniard when Klopp’s side return to their home stadium against Tottenham Hotspur on March 31. His stoppage-time second, the forward’s personal-best 16th Premier League goal of the season, also brought up the milestone of 50 for the club since he joined in the summer of 2016. And so it is as you were in the tussle for the Premier League title. 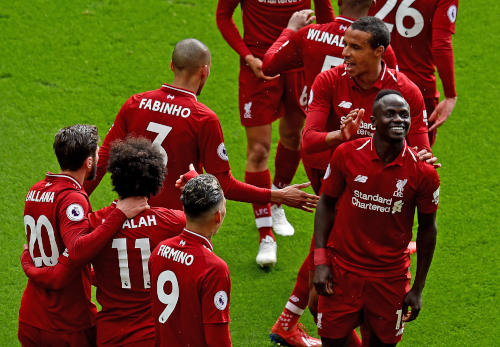 Liverpool’s hard-fought victory over the Clarets reduced City’s lead at the top back to a single point with eight fixtures remaining of the 2018-19 season. Klopp’s men will now turn their focus to the second leg of their Champions League tie with Bayern Munich on Wednesday night, before travelling to Fulham in the league next weekend.